You might have thought you were the only one in your house suffering from spring-time, environmental or even food allergies. Have you ever noticed your dog excessively licking its feet or chewing them? Does your dog sometimes have itchy skin or break out in hives? Yes, dogs are just as susceptible to allergies as are humans. So now you’re wondering what to give your dog for its allergies. Zyrtec is available over the counter and is safe for your dog. Read on to learn about signs of allergies in dogs, treating those allergies with Zyrtec, the possible side effects and other ways to help your dog. 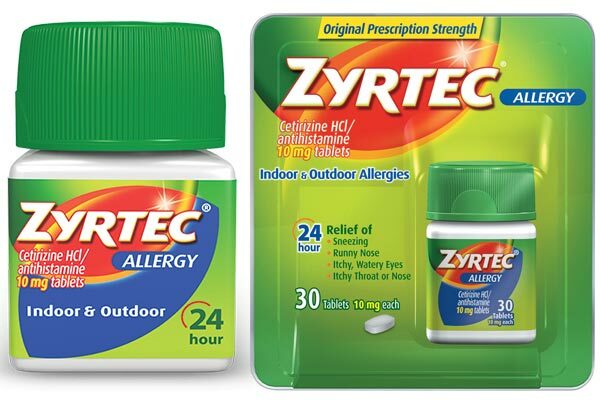 Zyrtec contains the active ingredient cetirizine, an antihistamine that is taken for allergy symptoms such as itchy and watery eyes, sneezing, runny nose, itchy skin, and hives. Zyrtec is a second-generation antihistamine, and Dog Struggles explains that this means it is more sophisticated than first-generation antihistamines, has a more targeted action for specific conditions and results in fewer side effects. Histamine is produced by the body when it comes into contact with something that causes an allergic reaction. Zyrtec binds to H1 histamine receptors, thereby blocking histamine and relieving allergy symptoms by reducing swelling and itching. One of the benefits of Zyrtec is that it does not causes drowsiness or sedation like some other antihistamines. CertaPet says this is because only a small amount of cetirizine can make it through the blood-brain barrier. The blood-brain barrier is a natural shield that prevents items in the blood from entering the brain. Zyrtec is considered safe for dogs and has been well tolerated by dogs in veterinary studies. Before treating your dog with Zyrtec, it is recommended to first speak with your veterinarian, particularly if your dog takes any other medications. CertaPet cautions that you should not give your dog Zyrtec if your dog takes any medications that depress the central nervous system because this can result in heavy sedation. Zyrtec can be a cost-effective alternative to prescription anti-inflammatory drugs that can have negative side effects. This YouTube video from Healthcare for Pets talks about the safe use of antihistamines for allergies in dogs. Which Zyrtec Formula is Right for Dogs? Not all Zyrtec is the same. Smart Dog Owners notes that in order to reduce the number of pills a person needs to take, drug manufacturers will sometimes add additional drugs to medications. Make sure that the formula you buy for your dog contains only cetirizine and no additional drugs or alcohol. You should also never give your dog Zyrtec-D. It contains pseudoephedrine, a decongestant that relieves sinus pressure in humans and makes it easier to breathe. Pseudoephedrine is very dangerous to dogs. According to Canna-Pet, it can overstimulate the central nervous system and heart, which in turn can cause high blood pressure, seizures or death. Take your dog to the vet immediately if it ingests any Zyrtec-D.
What Dosage of Zyrtec is Correct? The correct dosage of Zyrtec for dogs depends on a dog’s size, the condition for which it is being prescribed and how severe that condition is. The typical dosage is between five to 10 mg of Zyrtec once a day or roughly 2.27 mg per pound. Smart Dog Owners notes that your vet may recommend a higher or lower dosage or be dosing every 12 hours depending on your dog’s allergies or any other medical conditions, so it is always best to first consult with your vet. According to CertaPet, allergic dermatitis may be treated with a higher dose than atopic dermatitis. Zyrtec can be taken either with or without food, but Dog Struggles notes that it will have a quicker effect if given on an empty stomach since food can slow down the body’s absorption of the cetirizine. What Are the Side Effects of Zyrtec in Dogs? Side effects of Zyrtec are minimal in dogs. The most commonly reported side effects are vomiting, constipation, excessive salivation, and sleepiness. The sleepiness usually goes away after a dog adjusts to the Zyrtec. Hyperactivity can occur if your dog takes too much Zyrtec. Veterinary Place reports that there have been rare cases of heavy sedation, but these were mostly reported in small dogs that were given high dosages of Zyrtec. Some dogs can be hypersensitive to antihistamines and can have an allergic reaction to Zyrtec. If this happens, take your dog to the vet to find an alternative treatment to antihistamines. Can Dogs Overdose on Zyrtec? One of the reasons Zyrtec is safe for dogs is that it is very difficult to overdose on an antihistamine. 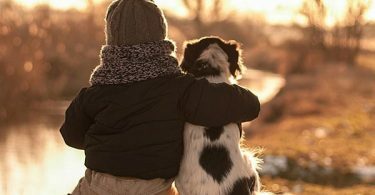 Smart Dog Owners reports that some tests gave animals as much as 220 times the recommended human dose and the animals did not suffer any long-term effects. It is worth stressing again that you should not give your dog Zyrtec-D. According to Veterinary Place, just two pills of Zyrtec-D or 240 mg of pseudoephedrine, can kill a small dog. Can Pregnant Dogs Take Zyrtec? Zyrtec appears to be safe for pregnant dogs. Studies have been conducted on pregnant dogs who were given large doses of cetirizine with no noticeable side effects on the fetuses. If you are concerned, follow the recommendation of your vet. It is advised, however, to avoid Zyrtec if your dog is nursing because small amounts of cetirizine can be passed through the mother’s milk and Canna-Pet notes that nursing puppies are too young to be ingesting medications such as Zyrtec. When Should A Dog Not Take Zyrtec? Zyrtec is not usually recommended if your dog has kidney or liver problems. Zyrtec can cause a dog to retain water and this can make a kidney problem worse. It is also advised to avoid Zyrtec if your dog has liver problems because it can make the condition worse. Veterinary Place suggests you try treating your dog’s dermatitis with Omega-3 fatty acids to help relieve itching if your dog has kidney or liver problems. If your dog takes any other medications, you should speak to your vet before giving your dog Zyrtec to ensure there will be no complications or interactions with the other medications. What Allergies is Zyrtec Used to Treat in Dogs? Zyrtec is used in dogs to treat allergic skin conditions such as atopic dermatitis and allergic contact dermatitis. Both of these produce allergic reactions such as itching, swelling, hives, and inflammation. Atopic dermatitis is a chronic skin inflammation that can be caused by environmental factors such as pollen, mold spores or dust mites. 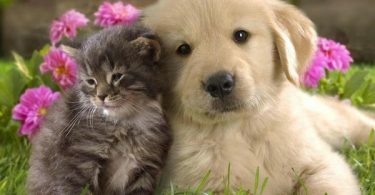 Contact dermatitis is caused by coming into contact with a certain allergen such as fleas or mange mites and goes away when that allergen is no longer present. Zyrtec can be used to treat skin irritations caused by food allergies and can help relieve the irritation and swelling caused by insect bites and stings. Veterinary Place notes that Zyrtec is not commonly used to treat allergies in dogs that are not related to the skin. If your dog has an allergy that is not skin related, other medications are usually recommended. A bacterial or yeast infection can also cause itchy skin, so you need to check with your veterinary to determine the cause of your dog’s problem before attempting to treat it with Zyrtec. Canna-Pet advises that while Zyrtec can relieve allergy symptoms, it is not a cure for allergies. Your vet needs to determine the underlying cause of your dog’s skin allergies. If it is due to environmental factors like pollen, then you may not be able to avoid them. If the allergy is food related or caused by fleas or mites, then you can treat these conditions. According to VetInfo, most dogs develop their allergies during their first 3 years and only after prolonged exposure to the allergen. Dogs can develop allergies from fleas, dust mites, pollen, grasses and weeds, and food and food additives. These allergens can cause red and irritated skin, itching and swelling, and can cause your dog to chew or lick its legs or paws, to frequently rub its face and muzzle or to shake its head. Canna-Pet says that severe allergies or allergies that are left untreated can result in hair loss, a bacterial or yeast infection of the skin, hives or even anaphylactic shock. Skin infections can then require antibiotics. If anaphylactic shock occurs, take your dog immediately to the vet as this can be life-threatening. Are Some Dogs More at Risk of Developing Skin Allergies? Allergies affect approximately 10% of all dogs and it can be impossible to avoid allergens, especially environmental allergens such as pollen and grasses. Rover lists the breeds that are more likely to develop allergies as Retrievers, Terriers, Boxers, Dalmatians, Bulldogs, Shepherds, Beagles and Irish Setters. What Else Can I Do to Help My Dog Get Relief? To remove environmental allergens after a walk or after your dog has been playing outside, wipe down your dog with a pet grooming wipe. Don’t forget to wipe the feet. Bathe your dog with a hypoallergenic shampoo that contains soothing ingredients like aloe, oatmeal or evening primrose oil. Avoid shampoos that dry out your dog’s skin. Biotin and omega-3s are supplements that can help relieve itching and improve your dog’s coat. Products containing FDA-approved Sulfodene are good for treating hot spots and red, irritated skin. Try a medicated antiseptic and antifungal spray to treat skin infections. These often contain aloe. If nothing else works, talk to your vet about a prescription shampoo or spray. When Does a Dog Need More Than an Antihistamine? According to Rover, antihistamines are only effective for about 30% of dogs and can lose effectiveness over time. What are the next steps to take if antihistamines are not working? Below are the other options for treating allergies in dogs. Corticosteroids. Corticosteroids are the next line of treatment, but because of the possible side effects, steroids are not recommended for long-term use. Allergy testing should also be done at this time so that your vet can determine the cause of your dog’s allergy. Allergy Testing and Shots. Allergy testing for dogs is the same as for humans. Allergens are injected into the skin and a welt or hive will appear after about 15 minutes if your dog is allergic to any of them. The vet can then mix together the proper allergy shot, also called immunotherapy, based on which allergens produced an allergic reaction in your dog. Rover says that allergy shots have up to an 80% rate of success and that it can take from six to nine months before full results are achieved. Allergy shots are also more effective on younger dogs because allergy symptoms can get progressively worse with age. You will need to be prepared to give your dog the allergy shots and the frequency of the shots will depend on how your dog responds to them. Another option is sublingual immunotherapy where you use a pump to squeeze the medication into your dog’s mouth. This could be an option if you are not able to give your dog injections. Immune-suppressants. If immunotherapy is not successful, the next line of defense is immune-suppressants that suppress the immune system and keep it from reacting to allergens. This is only recommended if all of the above-discussed options do not work because immune-suppressants can cause vomiting, diarrhea and increase the risk of infection due to a weakened immune system. Your dog relies on you to give it proper medical care. If your dog suffers from itchy and irritated skin or exhibits any of the other signs of an allergy, have it checked out by your vet. It can be simple to treat those allergies, but if left untreated, they can lead to more serious infections or complications.